People ask us what inspired us to begin filming weddings... It actually all started with our own! We were absolutely blown away with our own wedding film. It was cinematic, beautiful, and totally embodied our personalities and the significance behind our wedding. Our videographers were absolutely wonderful, and actually ended becoming lasting friends of ours. 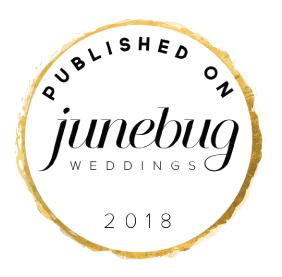 It was our experience with them (and our continued friendship with them and other incredible videographers) that inspired us to take the leap, develop our skills and begin capturing couples' weddings. What our goal is in filming your wedding is simple. We think that marriage is a God-given gift that changes your life forever, and it's a beautiful thing. Couples' personalities, their stories, their love for each other, their families and friends.. These are all things that are completely unique to your wedding day! What we want more than anything is to capture the essence of that and tell a story - your story - in a cinematic and compelling way that captivates those that watch it. We don't want your wedding to fit into a wedding video "formula".. we want your video to truly be you. Shawn came from a background in the Tech Industry, and happens to be a nerd in all things. So naturally camera equipment and all associated devices are his domain. Shawn loves the technical side of cinema camera bodies, lens technology, stabilizing equipment, drones, etc. Besides running normal camera set ups, Shawn runs the Helix stabilizer rig and captures aerial footage with drones at the weddings we shoot. Pati has always been a creative at heart. Whether it's music, painting, calligraphy, or filmmaking, she is always working on some way to create something special through art. This comes out in the films we produce, particularly in getting unique perspectives which tell compelling stories in the films we shoot and edit. Pati focuses on capturing the finer details that differentiate you and your wedding day. Check out what some of our past clients have to say about us! "There are not enough wonderful words in the English language to express just how amazing Shawn and Pati are. They're incredibly professional, kind, supportive, and (of course) talented. Our wedding video is so beautiful, and this is all thanks to the couple-team behind Vow and Covenant. Shawn and Pati perfectly captured the story of our love, the details of our day, and the REASON behind our marriage: God's plan for us and HIS love. Gosh, it's just impossible not to gush about Vow and Covenant and the amazing work they produce. If you're on the fence about hiring a videographer, jump on in and choose Pati and Shawn. You'll be so glad you did!!" 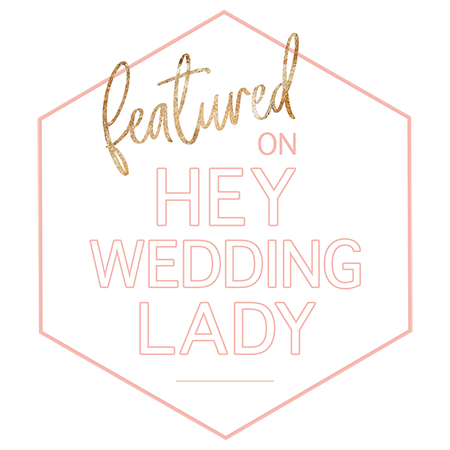 "Shawn and Pati filmed our wedding last June and it was one of the best decisions we made during the wedding planning process. We are SO thankful to have found them and they did an incredible job from the initial consultation to the final video. Just take a look at their website/blog and you'll see all the amazing videos they have produced. I honestly haven't seen any other wedding videos as well made and thoughtful as theirs. Shawn and Pati are also a super sweet and fun couple and they make you feel extremely relaxed and natural the entire day. You can tell that they really love what they do and they make sure to capture all the special moments during the wedding. I never had to worry or stress about anything involving the video. They were extremely prepared and made sure we got on several Skype calls prior to the wedding to discuss final details and timeline. I really appreciated how organized and on top of it they were during the entire process. I HIGHLY recommend Vow and Convenant for any couple out there getting married." "We hired Vow and Covenant, and we never will regret it, they are as good as it gets! My husband and I were looking for videographers for EVER (since we're so picky) but came across this lovely couple and we couldn't imagine our wedding without them. Throughout the countdown till our wedding day, they were always keeping in touch with us and if we had any questions they got back to us within a day. Shawn and Pati are a great example of what teamwork looks like in a business." "Vow and Covenant did our wedding in October, and we couldn't have asked for a more professional team. We hardly knew they were there and when we did they were the easiest people to interact with. They both set us right at ease and being someone who isn't crazy about having her photo taken, they brought out a side of me on my wedding day that I will cherish forever. Our wedding video is beyond amazing, so professional and captured the most important day of our lives. Thank you Shawn and Pati for this video treasure." "Vow and Covenant filmed our wedding in March, and I could not have been more thrilled with the result! It was an absolutely pleasure working with Shawn and Pati, as they were very flexible, and confidently and gracefully directed us during their filming. Their demeanor put us at ease and let us have a blast at the wedding, half the time not knowing they were there. Not only was the videography stellar (the drone shots were unreal!! ), but the way they pieced together the footage was very artful and it really felt like they were story tellers sharing our story through film. I could not recommend them more highly!" "We watched the video yesterday and it is awesome!! You guys did an amazing job of capturing all of the moments that made the day so special. It was a pleasure to work with you both and seeing this as the result is totally the icing on the cake! I LOVE the aerial shots from the drone. Thanks again so much!"